I'm perfectly calm, dude. I got this killer Wolf shirt where he's howling at the moon. I mean, calmness and moon howling go hand in hand. 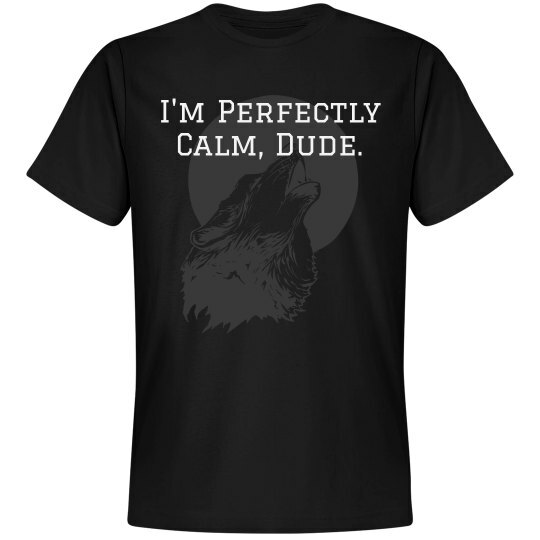 Custom Text: I'm Perfectly | Calm, Dude.